The School of the Universe is the sacred space within you, the space where you have the opportunity to master the vibrations of your Divine Self. As you raise your energetic vibration, you become a vehicle thru which God heals the world bringing light and love to all whom you touch. Each of us is here to serve humanity. Through our special Divine Matrix Healing programs your growth is exponential and unique to you. We are happy to help you to choose the programs that align with your divine purpose. Divine Matrix Healing is the signature healing program of Barbara Ann Strassman. Through our self-healing program, you will become a divine portal / healing angel of light and love. As you go forth in the world, everyone you connect with each and every day will benefit and heal from your higher vibration. You will immerse humanity in a sea of unconditional love. Program will cover steps 1 and 2 and includes 5 classes and 3 private sessions. You will reconnect to your divine circuitry / your Higher Self / your I AM Presence / to Source. You will learn to be fully in body, fully present and connected to your divine blue print which is the starting point for all healing. You will learn to recognize when you are disconnected / out of body / out of alignment. You will learn the power of your thoughts and words and what they create. You will learn about collective consciousness and how you connect to it. You will learn how to assist others in the process of reconnecting. You will learn how to clear negative patterns, energies, experiences as well as karma. You will learn to become one with the violet flame. You will learn to align with ascended masters, angelic beings, and ancient Egyptians. You will further cleanse and clear the energies that keep you submerged. You will create space for rebirth and awakening. You will perfect the use of the violet flame and power of intention and focus. You will heal your four lower bodies – physical, etheric, mental and emotional. You will learn to call back lost parts of yourself – resurrect and affirm life. You will look at your “fatal flaw” as Edgar Cayce coined the term, the one belief that is the root cause of our most destructive behavioral patterns. Resurrection requires a strong and clear connection with the Divine which will be the opening practice of all classes. Program will cover steps 3 and 4 and includes 5 classes and 3 private sessions. 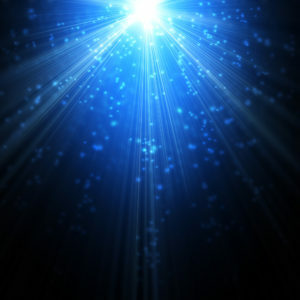 You will align your light body with your divine blue print and remember your divine self. You will resonate and vibrate the 12 solar rays – 12 aspects of deity in and around self. You will learn and use the wisdom of the 10 Sephiroth as it connects to your light body. You will work with creation energy of the flower of life and words of high vibration. You will learn to sense/feel the meridians –energy lines within our physical bodies. Many of the lower level classes are immersed in these subjects and are necessary for a broader experience and better understanding prior to this class level. You will co-create with the universe…heaven on earth. You will become a channel for Source, an instrument for healing, living your soul’s purpose. You will learn the 3 steps of precipitation – manifestation as taught by St. Germain. You will penetrate the limitless consciousness of God and go and do likewise. You will use thoughts and words of high vibration – consciousness training. You will learn to call back and erase thoughts, words, beliefs that are limiting, negative and of lower vibrations. ** Disclaimer: Course content may change at any time as we align with the Divine. Level of commitment to your private practice between classes will impact your proficiency at course end. Our learning and spiritual growth is ongoing and forever…..
Bless You All for bring courageous enough to Share your LIGHT! THIS IS FOR YOU! THIS IS FOR ME! THIS IS FOR HUMANITY! FOR WE ALL HEAL AS ONE! T0 FULLY engage your life we must remember who we are, what our essence feels and looks like, and figure out what we are really made of. Becoming your Fully Realized Self will be done in easy, fun and interactive ways through going on the following sacred journeys within…. There are alternatives to medication. Doctors and scientists are understanding more about the role of the amygdala, frontal cortex and adrenal glands. Studies show the effects of a practice of Mindfulness on the amygdala size and the positive changes in participants everyday life. The classes will be held in the above order. Come to one or come to all. These classes will be held lake front at 130 Massapoag Avenue, Sharon, Ma. If inclement weather we will meet inside. Classes are at 8:45 a.m. before it is hot. Please bring bottled water, a hat, and fold up beach chair. You can register for our School of the Universe classes via our calendar for online registration. You may also email Barbara at: solewoman9@gmail.com to REGISTER as a student of the School of the Universe and tell her about what draws you to the teachings that support the Divine Matrix Healing, or call her at 781-784-1955 as she would love to talk to you too! THEN REGISTER for the actual classes you choose to take. Remember, Barbara is happy to assist you and your Higher Self in the process.